Harrison Ford isn't in negotiations to appear in the film (yet), and there isn't even a script written at this point. Last week, rumors started circulating that Harrison Ford himself was in early negotiations to reprise his role as replicant hunter Rick Deckard. Now, director Ridley Scott has gone on record to not only debunk that story, but to also explain just how early in development the film is. "Absolutely not. But I'm not sure that that's going to be a story point, so I don't know. But if it were, nothing would please me more. Honestly ... 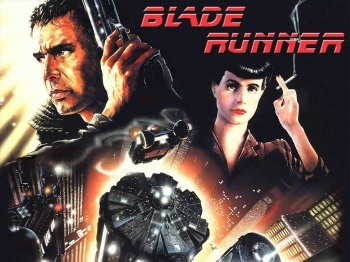 I don't know [if the Deckard character will even show up in the film]." "We're still in discussions about whether it should be a prequel or sequel. It's an interesting conversation. I'm meeting with writers and I've also gone back to [original 'Blade Runner' screenwriter] Hampton Fancher and he still speaks the speak. He's right there. I spoke with him this week. But we don't even have a script yet." From the sound of things, Scott's future plans are so uncertain right now that it's entirely possible that the new Blade Runner movie may not happen any time in the near future. Depending on how Prometheus performs, a sequel is a very real possibility, and he's also attached to The Counselor, Child 44, and a biopic on the ever-fascinating Gertrude Bell. While it does sound like Scott will (eventually) return to the Blade Runner universe - thanks to the fact that so many people are clamoring for it - it also sounds like we shouldn't hold our breath for any official announcements about the project any time soon.